I have another card for you. The holidays are over but the birthdays keep on coming. LOL. The adorable elephant image and sentiment is from Image That Digi Stamps. 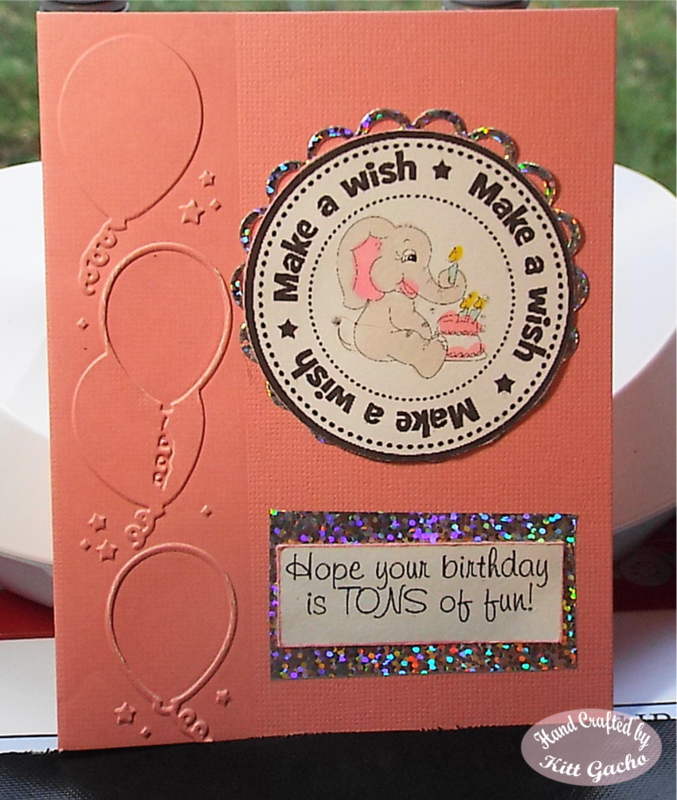 Be sure to stop by Artistic Inspirations to enter the challenge and see what our talented DT has for your birthday card inspiration. I used Spectrum Noir markers to color the image and the Silhouette Cameo to print and cut it. The balloon embossing folder is from Darice. I used holographic paper to add some bling to the sentiment. Thanks for stopping by today and leaving your comments. I appreciate them and find inspiration to create from all of you. Have a happy crafty day. Brighten up a dreary day.